In my estimation, the highest paid real estate appraiser last year was a gentleman in California who received $56 million for his role as a whistleblower. He revealed allegedly fraudulent appraisal practices that he both performed and witnessed other appraisers perform at the appraisal firm where he was employed. He was awarded the bounty in December after the U.S. Department of Justice settled the case he initiated for $350 million. How did he receive such a windfall? In 2010–11, nearly 80 percent of his valuation work at the firm involved default and real estate-owned property appraisals; his other assignments involved refinance and purchase loans. He claimed that he and other appraisers were directed to follow practices in violation of Uniform Standards of Professional Appraisal Practice and other requirements, which led to inflated appraisals being used for loans connected with the Federal Housing Administration, the U.S. Department of Veterans Affairs, Fannie Mae and Freddie Mac. To illustrate his point, he showed his own appraisal work that revealed examples of the alleged violations, including failing to perform appropriate highest and best-use analysis of distressed properties, using AVMs to determine market-condition adjustments, using simplistic “cost-to-cure” adjustments to address severe property deficiencies rather than determining market-based adjustments, inappropriately reporting appraisals to be “as is” on Fannie Mae’s Uniform Residential Appraisal Report when the appraisals were subject to hypothetical conditions or significant extraordinary assumptions, and generally ignoring the impact of severe property condition problems. He said he was compelled to do these things at the direction of management, and that when he properly performed appraisals, the firm disregarded them and ordered new appraisals. In 2011, his attorneys filed a whistleblower complaint in federal court under the False Claims Act. This federal statute enables a person to file a complaint on behalf of the federal government seeking damages and penalties for conduct that financially defrauds the government. A whistleblower who files the complaint is referred to as a “relator.” After the complaint is filed, the case is kept secret under seal, but the U.S. Department of Justice is notified and given the opportunity to investigate the allegations and intervene as a party in the case. Sometimes the DOJ will intervene — as it did in this case — but the DOJ reportedly decides against intervening nearly 75 percent of the time. If the government does not intervene, the relator can still go forward with the case on his or her own. As encouragement for whistleblowing and as compensation for the risks involved, whistleblowers may be awarded a portion of the recovered funds — typically around 15–25 percent of the recovery when the DOJ intervenes and 20–30 percent if the DOJ does not intervene but the whistleblower successfully prosecutes the case. The federal False Claims Act has provided the framework for a number of other appraiser-driven whistleblower cases. 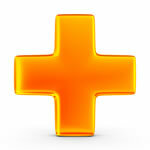 A case filed in 2009 involved another appraiser at the same firm as the one mentioned above. This time the employee was a review appraiser who alleged systematic appraisal inflation relating to FHA loans originated by Countrywide and then later by Bank of America near the peak of the mortgage bubble. He alleged that the lenders conspired with his firm to inflate appraisals to increase the size of mortgage loans sold on the secondary mortgage market, which led to the federal government being harmed when loans defaulted and the FHA had to make insurance payments on them. In his complaint, he claimed that individual appraisers had performed as many as 350 appraisals and reviews per month. The DOJ intervened and settled the case in 2012 for $75 million in damages as part of the national mortgage settlement entered into by Bank of America and four other large lenders that year. The appraiser received a $14.5 million bounty on the settlement. There also are whistleblower cases involving commercial appraisers, but to date, the bounties have not been as rich as those involving residential appraisers. The most notable commercial appraiser case involved a national for-profit hospital chain. In that case, the whistleblower appraiser received an assignment to prepare a report on the fair rental value of a physician-owned facility being leased by the for-profit hospital chain. Such appraisals and rent studies often are obtained for real estate transactions between hospitals and physicians because of the Stark Law, which prohibits hospitals that receive Medicare and Medicaid funding from having certain financial arrangements with physicians that could create conflicts of interest. Namely, the Stark Law aims to prevent physicians from seeking financial gain by steering patients to a particular hospital without regard to medical costs or the best interest of the patient. In that case, the whistleblower alleged that the appraiser delivered a rent study indicating a fair rental rate that was lower than the hospital and physician group desired. The hospital then obtained (from a non-appraiser) a new rental value opinion more to the parties’ liking and used the higher opinion to justify the hospital’s payment of above-market rent to the physician group as part of an alleged effort to save the group from defaulting on its loans. The appraiser brought suit under the False Claims Act on behalf of the federal government as a whistleblower and also on behalf of the states of Tennessee and Georgia under their state law counterparts. The federal government initiated an investigation and, in 2012, settled the alleged violations for $16.5 million. As his bounty, the appraiser received 18.5 percent — more than $3 million. 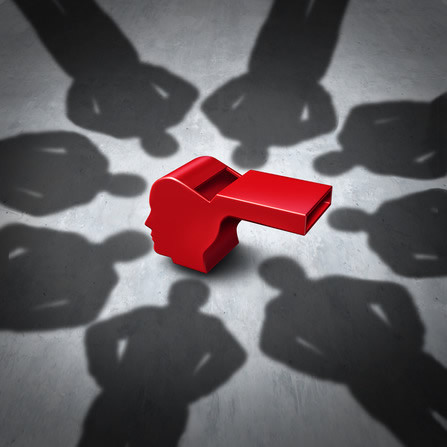 The federal False Claims Act is not the only source for potential whistleblower bounties. There are state law counterparts that also create whistleblower incentives for reporting fraud on state governments, and the Internal Revenue Service operates a whistleblower program for reporting instances of significant underpayment of taxes. Under the Dodd- Frank Act, there also are bounties payable to whistleblowers who provide the U.S. Securities and Exchange Commission with information leading to an enforcement action against parties under SEC supervision when the recovery is more than $1 million — in such cases, the whistleblower is entitled to an award of 10–30 percent. Fortunately it’s very rare that appraisers themselves become defendants in whistleblower cases, but there is at least one such case currently pending in federal court in Illinois. The whistleblower in this case is a former in-house analyst (non-appraiser) for a defunct lender. In his complaint, he alleged that in 2005 he first noticed approximately 75 appraisals for commercial real estate loans that were inflated and that the bank used the inflated values in its disclosures to the Federal Deposit Insurance Corporation for the purpose of determining the bank’s insurance assessments. He alleged that the higher values resulted in lower insurance assessments and therefore defrauded the FDIC. In his complaint, the whistleblower named as defendants several of the bank’s officers and directors, as well as the appraiser and appraisal firm that performed many or all of the questionable appraisals. However, the DOJ has declined to intervene in this case and so the whistleblower is attempting to prosecute his claims — and win a bounty under the False Claims Act — with private attorneys. While examples of rich bounties paid to appraisers may inspire the imaginations of would-be whistleblowers, it’s worth noting that the whistleblower trail is difficult to follow, painful and lonesome, and most often ends without a bounty. At the same time, the specter of these kinds of cases and the fact that individual appraisers have initiated very significant whistleblower cases should serve as a warning to firms and lenders that they must pay significant attention to professional grievances regarding appraisal practice matters and that they need to create sound, enforced procedures for handling grievances before they develop into whistleblower litigation.